We have been successfully running holiday camps for several years in different locations across Coventry and Warwickshire for children 4* - 11 years old. All of our staff are fully qualified and hold up to date enhanced DBS disclosures and are first aid trained. Our camps are designed to create a safe, secure and fun environment for your children to stay active during the school holidays. Children from all schools are invited but spaces are on a first come first served basis. Children can choose from a range of sporting activities including football, gymnastics & multi-sports just to name a few!. We also offer arts & crafts and games club. Every morning we ask the children which activities they wish to do and then we organise them into age appropriate groups. 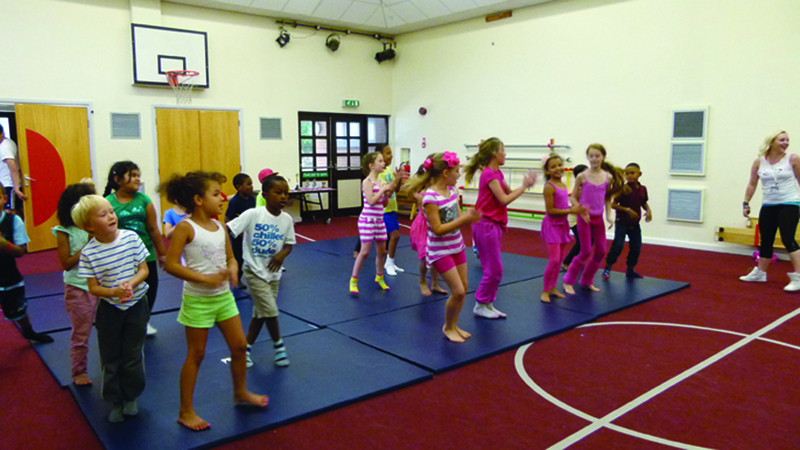 Kids have the option to change activity and try something different for the afternoon sessions if they want. Children who have booked from 8.15am will have the option of having breakfast with us which we will provide. Cereal, toast & fresh fruit will be served. After a morning of activities, the kids have a break at 12pm to eat their lunch and kids who have booked until 6pm will have a second food break at 4pm. Sports 4 All will again provide a healthy snack and a juice drink for every child during this break. On the final day of our camps we invite parents, carers and family members to watch the awards ceremony. There is a presentation where every child will receive a certificate and medal for their participation. There will also be trophies awarded to selected children! All children will need a packed lunch, a refillable drinks bottle and comfortable clothing. Footballers will need football boots, shin pads and trainers. Metal studs are not allowed. For the other activities, children can wear trainers or pumps. If parents wish for their children to walk home alone we must have their written consent. Early drop offs are available on request. Breakfast is now included with our early drop off option! We also now accept child care vouchers and tax credits on selected sites! Debit card payments can be made securely over the phone or you can now pay and book on the booking page of our website. 50% siblings discount! Bring a brother or sister and they only pay half price! Early Drop Off at 8.15am. ONLY £4 extra. Available for both weekly & pay per day. Includes breakfast. Early Drop Off at 8.15am. ONLY £5 extra.